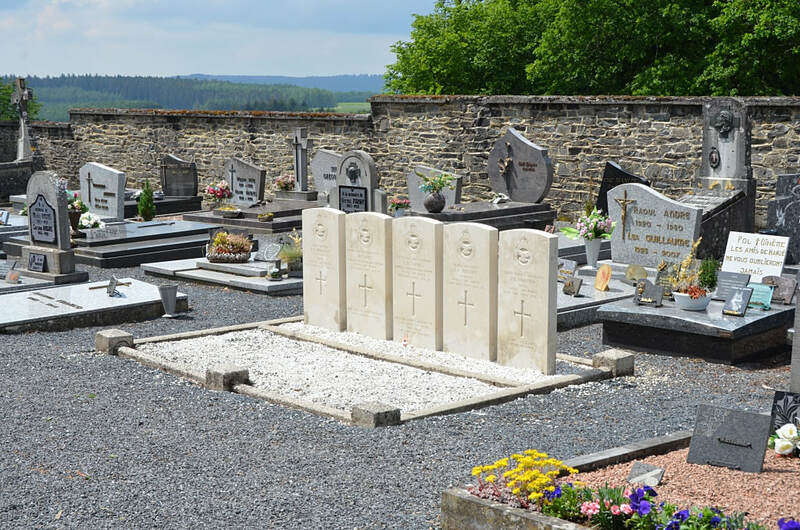 Curfoz is a small village administered by the commune of Sensenruth. 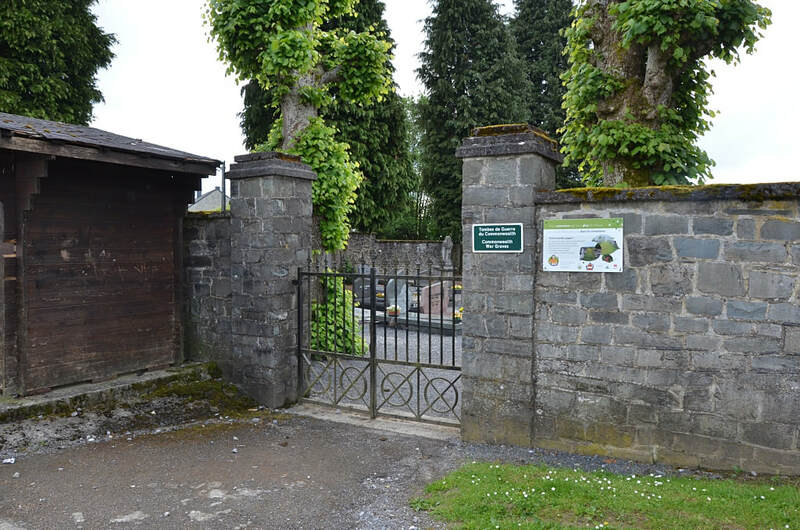 It is 5 kilometres north of Bouillon, lying 500 metres west of the main road to Beauraing and Dinant (E46/N89). This very small cemetery is on the eastern outskirts of the village, south of the road leading to Curfoz from the main road. The Commonwealth graves are close to the entrance and to the right of the main path. Sensenruth (Curfoz) Communal Cemetery contains the graves of five airmen of the Second World War. 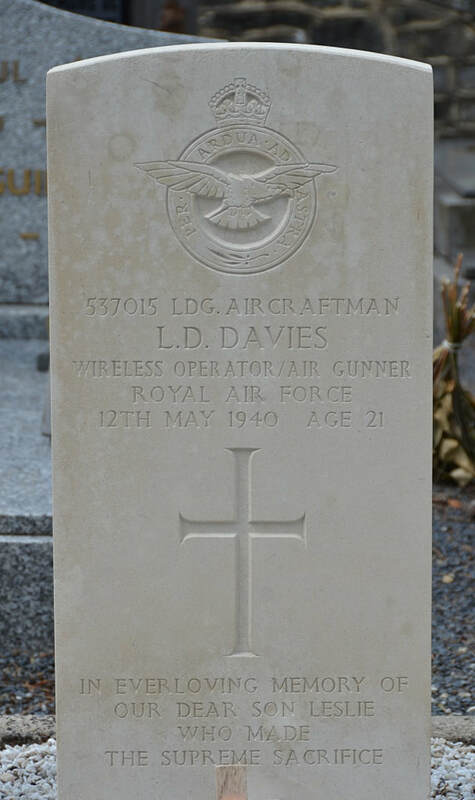 537015 Leading Aircraftman Leslie Douglas Davies, Wireless Operator/Air Gunner in 218 Squadron, Royal Air Force, died 12th May 1940, aged 21. 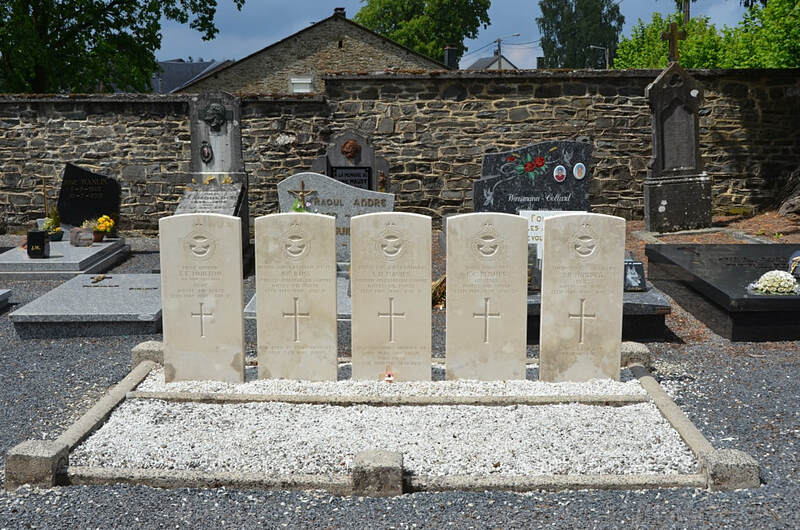 Son of William E. and Dorothy Davies, of Llandaff North, Glamorgan. 564186 Sergeant Leonard Charles Flisher, Observer in 218 Squadron, Royal Air Force, died 12th May 1940, aged 26. 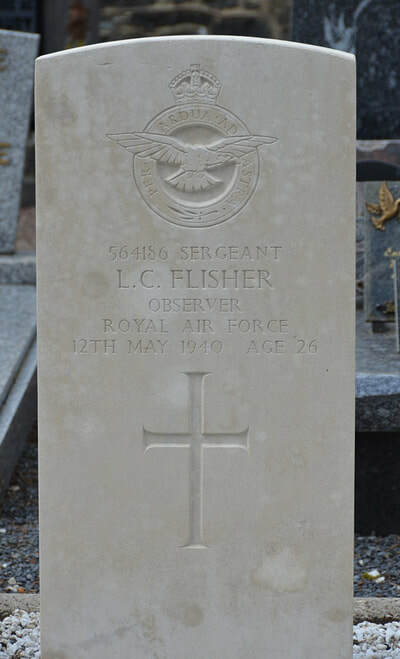 Son of Harry William Flisher, and of Rose Hannah Flisher, of Guildford, Surrey. 580159 Flight Sergeant John Bland Horner, Pilot in 218 Squadron, Royal Air Force, died 12th May 1940, aged 24. 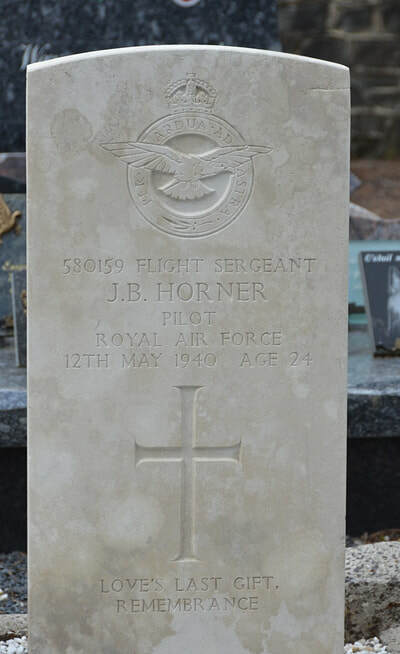 Son of John Bland Horner and Edith Horner, of Bicester, Oxfordshire. 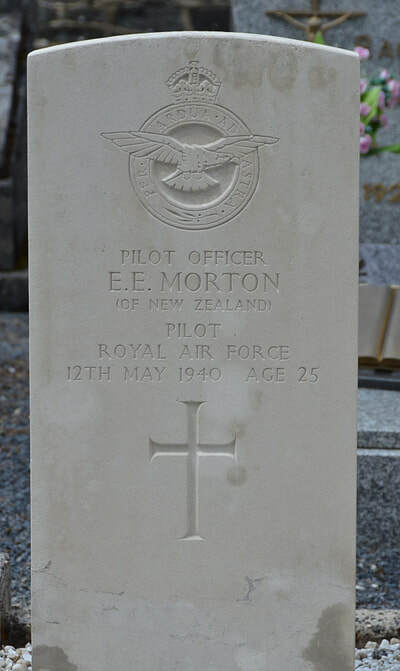 40635 Pilot Officer Edgar Elliot Morton, Pilot in Royal Air Force, died 12th May 1940, aged 25. Son of William Portlock Morton and Lucy Elizabeth Morton, of Takapuna, Auckland, New Zealand. 61376 Aircraftman 1st Class Alexander Strachan Ross, Wireless Operator in 103 Squadron, Royal Air Force, died 12th May 1940, aged 19. 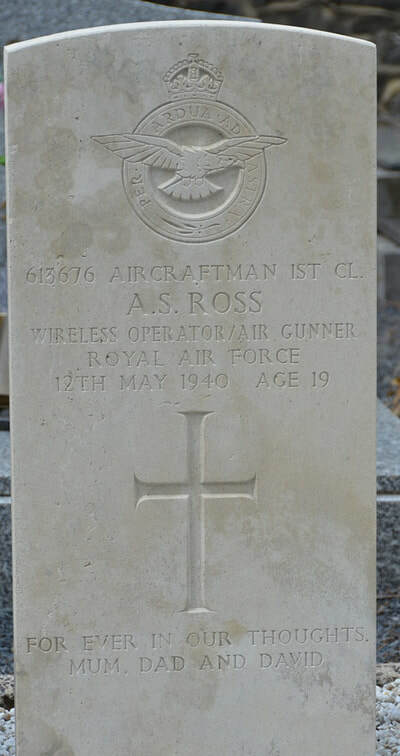 Son of Robert and Henrietta Ross, of Edinburgh.